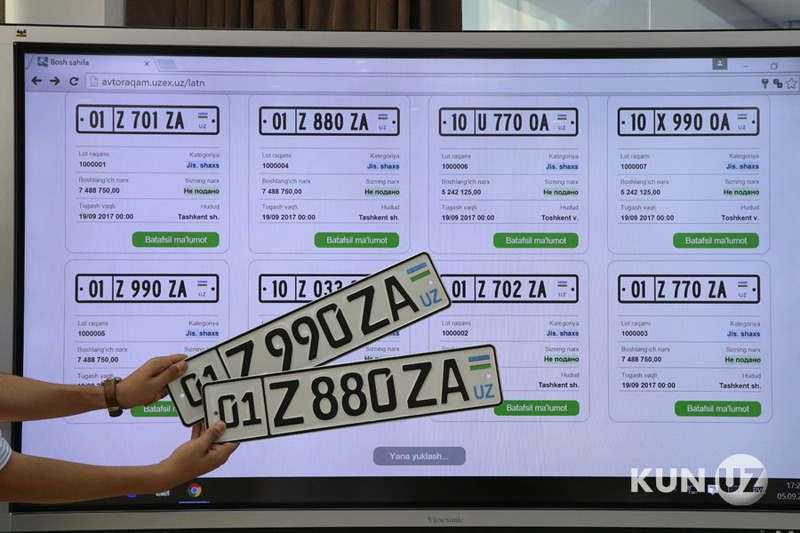 The sale of car number plates brought more than 115 billion soums to the budget in 2018, the Uzbek Republican Commodity Exchange said. In the first 11 months alone, 20,778 registration plates worth 105.7 billion soums were sold through online auctions. The average cost of one transaction was 5.1 million soums. In December, more than 2,000 car numbers were sold for more than 10 billion soums. Such a service (auctions) was first introduced in September 2017. By the end of the year trading volume amounted to 27.6 billion. 80% of funds received from the sales of car number plates were sent to the state budget and 20% to the Special Fund for the development of the material and technical base, social incentives for employees and other expenses of the Ministry of Interior.